Sometimes it's easiest to just stay in our own little comfort zone of classics and basics and ignore passing trends. 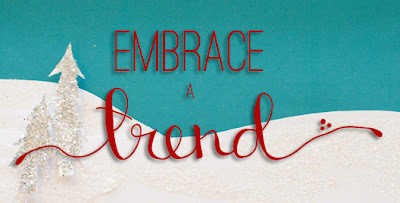 But for tomorrow I want you to pick a trend that intrigues you and go for it. Neon nails? Sure! Faux fur? Heck yes. Red pants? You know I love 'em. -Polka dots - or stripes, if that's easier. They're still hanging on. -Ballerina bun - probably dying but I refuse to let it go. -I hesitate to even say this but...baseball caps. Apparently they're a thing this year. Several designers included them in their spring collections. Knock yourself out. Neon - fall's fun and funky homage to the 80s. Original source unknown. Animal prints - I've had trouble coming around on this one...I just did it. They were in while I was in high school. How did they come back so soon?? Original source unknown. Come back tomorrow to link up your blog post or head over to the Flickr group and add your photo there! Just finally got my own pair of coloured pants...late to the band wagon, bu tI was nervous! I've fallen in LOVE...same with my faux fur. Got a stole that I wear all the time with my coat nad sometimes even just with jeans. It's a great trend! Omg, I love ALL these trends!! I really love those nails, I want to try! 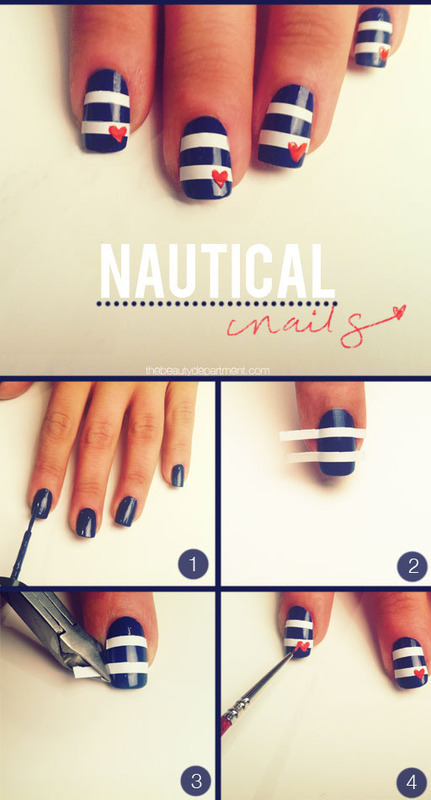 love the nautical nails! pinning it! Kayla, I'm terrible. I'm two days late. But I've been taking pictures! I still want to catch up tonight if I can. Keep up the fabulous posts, I love it all!